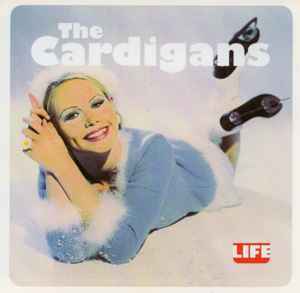 The Cardigans' second album, released in March 1995 in Sweden and in Japan in April of the same year. It was also their first album to see a true international release, in May 1995, their debut Emmerdale having been available only in Sweden and Japan at the time. For the countries where Life was the band's first release, the track list was altered to include tracks from Emmerdale ('Sick And Tired', 'Rise And Shine', 'After All' and 'Sabbath Bloody Sabbath'). In return, 'Pikebubbles', 'Sunday Circus Song' and 'Closing Time' are only available on the Swedish and Japanese releases. Wonderful album! Still sounds fresh after nearly 25 years. The Universal lp reissue sounds quiet. Just keep in mind that it has different tracks vs. the UK release, which has a mix of tracks from Life and Emmerdale. I bought both titles, and the quality is worth the price I paid. Official date for re-release: 1.2.2019. Five of them, all in all. Time for a 2018 repress, surely?? A classic of my student years! !